Kasenyi is a busy trading centre and landing site. It is located 8 Km before Entebbe, off Abaita Ababiri. (0°03’15.4″N 32°31’07.1″E, 0.054279, 32.518631). 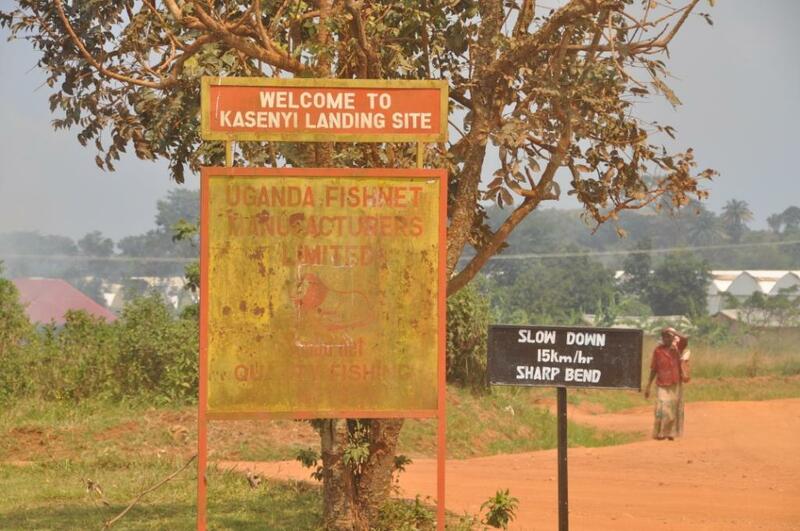 After a few minutes you enter the gate to the Kasenyi Landing Site. You can park the car at the police station (after the gate turn right). I have not heard bad reviews of cars parked there. The usual fee is 10,000 for the weekend. You can get a drink at one of the stalls, some fried fish (very nice!) or a rolex from the guys at the gate. There is also a reasonably ok toilet next to the police station. For a few 100 Shilling you are even given some toilet paper.